Is your computer running a bit sluggish? Perhaps you've been hit with a bad malware infection? For those of you that might need a little assistance figuring out what the issue is or removing that pesky malware bug Microsoft is offering to lend a hand. That is of course if you live in an area with a Microsoft store. 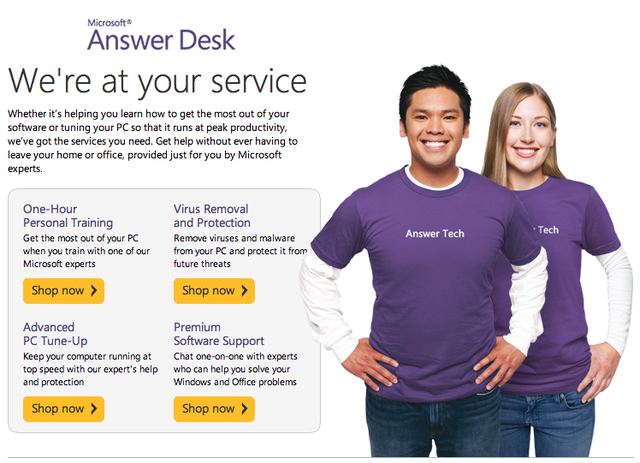 Microsoft’s in store Answer Desks, is offering customers five free services, regardless of where you bought your computer. It doesn't matter whether you got your PC from Microsoft, or somewhere else. Simply bring your PC into a store near you and they’ll provide you with “extended diagnostics on any device.” They also offer free software repair or support, remove viruses and/or malware, and they’ll also offer to give your PC a tune up in order to boost its performance. Microsoft’s Answer Desk page also says that you can get an appraisal on store credit for your gear through the company’s Recycle for Rewards program. Microsoft doesn't make it totally clear as to what each service entails or how thorough the check-ups will be. Each service is listed at $99.0o through the Answer Desk page. Meaning you could save yourself a few hundred dollars and get your PC fixed up and finally tuned in the mean time. Developing news will be updated as more details emerge! During today's 7th annual Google I/O developer conference Google took the wraps off several new projects, devices and services the company has plans to release this year. Some we already knew about like Android Wear, while yet others were the objects of pure speculation. Due to be released this fall Android L is the newest version of the Android operating system which features numerous new OS improvements. The Android L release will be what Google is calling "the biggest release ever for Android" which includes hundreds of enhancements and new features. Google will – as rumored – enable ART as the default runtime replacing the aging Dalvik. Thanks to ART, which supports features like Ahead of Time compiling, Just in Time compiling, and interpreted code, Google can offer a performance jump of 2x compared to Dalvik. Other improvements include 64-bit chip support, though not just ARM-based processors that are found in a lot of mobile device today -- it also supports 64-bit x86-64 parts from Intel and AMD, along with the MIPS64 architecture from MIPS. In terms of graphics performance, L will support features like tessellation, geometry shaders and computer shaders, as part of the so called Android Extension Pack. Finally, battery life will be improved as well in the L release, thanks to features like a new battery saving mode, scheduling of maintenance tasks, and coalescing of CPU tasks. Building on the success of the Chromecast, Android TV will bring all that you love about the Android experience like your favorite apps and games right to your living room. In short Android TV builds in Google’s search services directly into your TV-watching experience, through a set-top box or as part of your TV. You can use voice search to find a live TV show, a good flick from Google Play, or a music video on YouTube. Plus, because it’s Android, you’ll be able to play your favorite Android games, reimagined for TV and with a gamepad. Android TV has access to the popular streaming services like Hulu, Netflix, and Spotify, and many more. There’s a specific Android TV store set to arrive with the launch of Android L, which contains apps, steaming services and games that are specifically optimized for Google’s TV service. Android TV will be coming to a variety of form factors, including TVs, set-top boxes, and streaming boxes. Sony, Sharp, TPVision, Asus and Rasr are all currently developing products with more manufactures reportedly doing the same. Delivering a Google Now type experience for the car, Android Auto will make it easier and safer to use Google's connected services while driving down the road. When Android Auto connects to your car's display, it will automatically show information relevant to your driving habits based on the information that Google and Google Now already knows about you. You'll have access to Google Voice search for things like Maps and Navigation, music and phone commands such as replying to incoming text and email messages using Google's voice input and text-to-speech systems. The familiar commands should be recognizable from Google Now on the phone. Google stated that it has 40 automakers and suppliers partnered up as part of the Open Automotive Alliance and standing behind Android Auto. We first learned about Android Wear back in March when Google officially the new OS platform that is the company’s vision for the future platform for smartwatches and other wearable devices. Android Wear extends on the mobile Android OS platlform, and its ecosystem of apps, bringing those features to the “wearable market”. You get the information you need, quickly at a glance—just like you’re used to doing with your watch. Just say “Ok Google” to ask questions or to get stuff done. Get alerted when it's time to leave for dinner. Call a cab to take you there. See the traffic on the way. Text a friend once you're seated. It’s all right there, on your wrist, easy to see, right when you want it. Two new Android Wear devices are available today with the LG G Watch and Samsung Gear Live, going up for order on Google Play, and the Moto 360 from Motorola will be available in the coming months. Recently previewed, details around Google Fit are still a bit vague. Google didn't go into much detail about the new project however it did announce a new set of APIs which are meant to help Google users keep track of fitness goals with wearables, sensors, and data-logging apps by letting those apps and devices share information with each other. Google named a number of partners including LG, RunKeeper, RunTastic, Adidas, Basis, Nike, and Motorola. Google specifically mentioned wearables, but the only device named for integration during the presentation was Nike's Fuel system. Targeting the budget minded and developing markets, Android One is Google's attempt at pushing into markets where smartphone ownership isn't as prevalent as it is in more developed markets. This means budget smartphones with stock Android and great specs. The sample device shown at I/O was manufactured by Micromax and comes equipped with a 4.5-inch display, dual-SIM support, SD card support, and an FM radio. 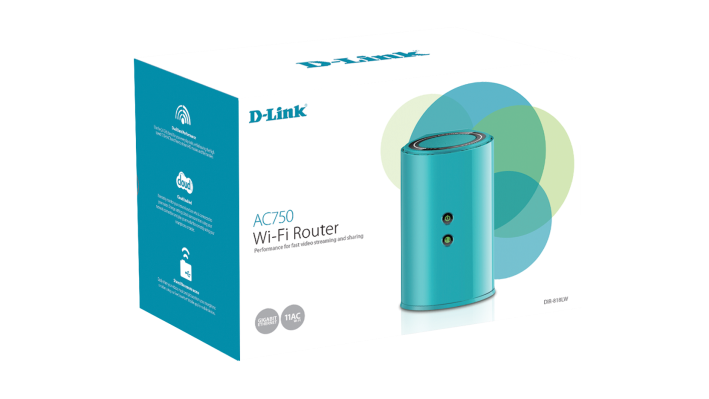 This device will run stock Android, will have automatic updates (just like the Nexus line), and will cost less than $100. Since the company is targeting the developing world, Google is initially teaming up with Indian smartphone makers like Karbonn and Spice. Tech users and digital privacy rights supporters won a major victory today as the U.S. Supreme Court handed down a unanimous decision upholding the rights of citizens against warantless searches. The ruling handed down today re-enforces the Fourth Amendment’s protection against unreasonable search and seizure as it applies to new technologies. At the heart of the decision is the difference between what material evidence a suspect might carry on their person compared to just how different 16 gigabytes of information on a phone as well as information stored via the cloud is from that material evidence. Today ruling largely stemmed from two separate cases, one from California (Riley v. California) and one from Boston Massachusetts (United States v. Wurie). Both cases involved arrests whereas information obtained from police searching cellphones of the defendants led to them being charged and convicted. "These cases require us to decide how the search incident to arrest doctrine applies to modern cell phones, which are now such a pervasive and insistent part of daily life that the proverbial visitor from Mars might conclude they were an important feature of human anatomy," Chief Justice Roberts wrote. In both cases, the cellphones in question "are based on technology nearly inconceivable just a few decades ago," when precedent-setting cases were decided. In their ruling the court acknowledged that the ruling will have an effect on the ability of police to combat crime, but reminded us that privacy must prevail!! The argument over which is better the laptop or the tablet is a never ending one. Each has their own merits with neither necessarily being a "winner," only a preference based on your specific needs. However, when choosing out latest geek gadget we asked ourselves, why choose between either? Why not get the best of both and get something that will offer the extremely convenient and portable features of a tablet, with all the powerful features a laptop has to offer? 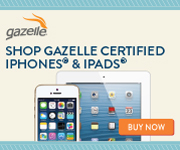 When looking for the latest addition to our gadget family we took many factors into consideration. First, and foremost we had to think about what tasks we would need the device to handle on a daily basis and what we thought would be imperative for the device to perform. For example, for us a keyboard or the ability to use a keyboard is essential. Try typing out several long blog posts on a touchscreen and you will soon see why! We also needed something that offered a great deal of portability. I like to travel light and carry as little as possible. Filling all of our needs has always been a bit tricky. Being tech junkies, of course we also have impeccable taste, so whatever devices we decide to grace the office with have to meet the highest standards. 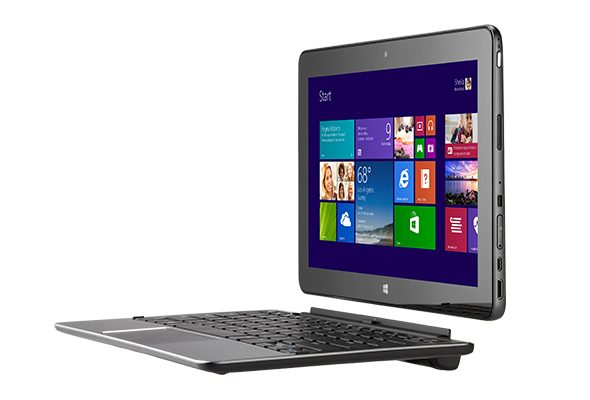 Given this, we decide to add our second #Intel2in1 device. Meet our new Dell Venue 11 Pro! She came to us fully loaded and ready to tackle any of the geekiest tasks we could toss her way. Under the hood is an Intel Core i5 4210Y processor (3MB Cache, 1.5 GHz Dual-Core) processor, Windows 8.1, 4GBs of RAM and 128GB internal storage. To keep productivity up we added on Dell Tablet Keyboard with a built-in rechargeable battery that Dell says will increases our Dell Venue 11 Pro tablet's battery life by 50 percent. As a stand alone tablet the Venue 11 Pro offers a 10.8 inch IPS Display with FHD (1920 x 1080) resolution with 10-pt capacitive touch. Which paired with Windows 8.1 gives you a fairly good tablet experience. Multi-touch is really response, the screen is bright and clear and videos really pop. Coupled with the keyboard and wireless Logitech mouse however, is where we really see her shine. The Core i5 and 4GBs of RAM means she purrs like a kitten, especially when compared to our other tablets and even our Samsung ATIV 2-in-1 that features an Intel Atom CPU. Multi-tasking with even some of the most demanding tasks we needed to accomplish was flawless. Battery life was one area we were really concerned. We have not had the best of luck with out laptops nor our tablets. We are heavy users that like to have a full bright screen while running multiple programs. Both of which eat through battery life quickly. Both tablets and 2-in-1s should have great battery life. Tablets are built around a comparatively lower-powered processor, which typically gives tablets better battery life versus a 2-in-1 and considerable better life compared to laptops. Here we were extremely surprised. Under fairly heavy usage our Core i7 based Samsung laptop gets a few hours at most battery time. Our tablets usually fair pretty well, but they aren't used nearly as much. When using the Dell Tablet Keyboard the battery on our Dell Venue 11 Pro was still running strong after 3+ hours, with 60-65% battery life left. That means we could have easily made it through a full work day on a single charge. Something we just can't do with most of our other devices. The ability to seamlessly switch from a powerful tablet to an equally powerful, fully productive, laptop that really made us decide on an #Intel2in1 device. When on the go we can unplug and slim down with just the tablet, yet still have full access to all our Windows apps and content. Then when we need to ramp-up the power usage we can plug in our accessories like a keyboard, mouse or even external HDD and have more than enough juice to keep up with all our need. For more details on the Dell Venue 11 Pro be sure to check back for our full review, which should be available shortly. If you need more details on selecting the best device for you checkout these suggestions from Intel! Apple, a company probably best known for offering "premium" devices at a premium price, has made a surprising move announcing a new entry level iMac with a $200 price drop. With that discount however comes a bit of a cost, a major drop in performance. The new Apple iMac features a 21.5-inch LED-backlit screen, a 1.4 GHz dual-core Intel Core i5 processor, 8 GB of memory and a 500 GB hard drive. That's far less powerful than Apple's previous "low-end" iMac, which had a 2.7 GHz processor and a 1 TB (1,000 GB) hard drive. In fact that’s roughly half the processing speed of other quad-core iMacs and identical in almost every way to the MacBook Airs. Apple generally isn't known for offering 'entry level' mainstream devices to consumers. Their niche has always been offering a 'high quality' device with a 'premium' look and feel. Recently however, the company has made moves to break that mold by offering lower cost 'budget' friendly options such as the new iPhone 5C. Still the company generally doesn't reduce prices on their devices until the model ages, or the company releases an updated version. Even then those models retain the same components, or even offer slight improvements with, for example, a boost to the processor. Stephen Baker, an analyst with the NPD Group and an expert on U.S. retail sales believes the recent reductions in price and new offerings of budget friendly devices is a move to take Apple to a more mainstream market. "There's a lot more attention paid to volume at Apple," Baker said. "The earlier MacBook Air price changes, the amount of discounting that's going on with the iPad and iPhones as well, it feels like there's a lot more attention at Apple to getting to more mainstream pricing and more mainstream customers." Even with the reduction in price Apple is still charging customers a 'premium' over current Windows based models with similar specifications. 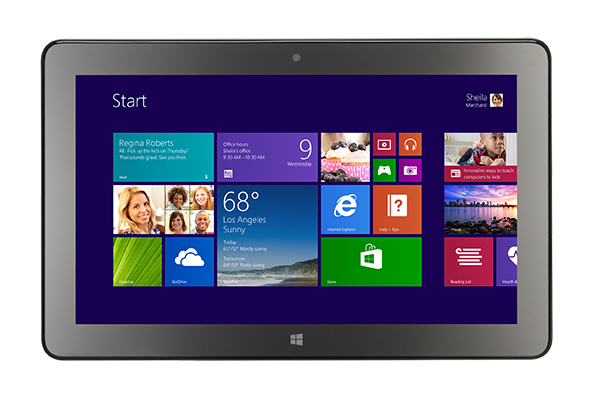 The average price of a Windows based touch-screen all-in-one with similar specifications and screen size is roughly $800. While the average for non-touch Windows all-in-ones can be found for well was under $500. So Apple's $1,100 is still pretty high. Will that matter to consumers, no probably not. For those Apple fans looking to buy Apple just for the sake of having Apple, or because they want the new unified experience Mac OS X Yosemite offers the price drop will just be seen as a bonus. The less expensive iMac is already available on Apple's website and will ship within 24 hours. But it won't yet come preloaded with OS X Yosemite, the operating system Apple unveiled at its annual Worldwide Developers Conference earlier this month. Customers who buy the iMac now can download OS X Yosemite for free this fall. Facebook users may have recently started to notice more and more ads on the social media site that seem to 'know' what they've been doing online, the pages they like, or the searches they make. These 'targeted ads' are nothing new to the site, but soon you'll see more of this is a type of interest-based advertising. On Thursday, Facebook announced that is will take a few new steps to improve their targeted advertising system. Adding in ads that not only cover your Facebook activity, but also your web searching and browsing history. However, the company has said they are also giving users more control as to what is shared and what ads they'll see. In their announcement Facebook said users will soon be able to opt out of their targeted ad system completely through controls in their Web browser and iOS and Android phones. You can opt out of Facebook's ad targeting in your web browser using the industry-standard Digital Advertising Alliance opt out, and on your mobile devices using the controls that iOS and Android provide. If you are using an ad blocker or anything else that blocks cookies, you will have to turn that off. On the first screen, select the "companies customizing ads for your browser" tab. Scroll down until you see Facebook.Click the check box next to Facebook. Then click "submit." You can also opt out on your phone. For iOS users, open settings and go to General>Restrictions>Advertising under "Privacy" section. Select "limit ad tracking." For Android users, go to Google Settings>Ads>Opt Out of Interest-Based Ads and you're done. For those that don't mind a few ads or want control over the other ads within the Facebook system. Facebook is introducing ad preferences, a new tool accessible from every ad on Facebook that explains why you’re seeing a specific ad and lets you add and remove interests that you are shown. So for instance, if you’re not interested in electronics, you can remove electronics from your ad interests. Staying up-to-date on the latest in tech is a reward all of its own. However, earning prizes and gifts can make it all that much cooler. After-all, what geek out there doesn't like to get a freebie just for browsing the latest tech and gaming news or searching for their favorite tech gadgets? With the Bing Rewards program you can do just that, and the cool part is the rewards are fairly geeky as well. You can earn points towards gift cards from geek favorites like GameStop, Hulu Plus and Amazon or get points for Xbox Live subscriptions and sweepstakes entries for Xbox games or a Microsoft Surface 2. For you gamers looking for the latest news and trailers from your favorite Games Bing offers videos from several of your favorite site. With E3 just wrapping up you might want to checkout some of the latest news. Head over to Bing and search E3 2014 Games and you'll see an abundance of great videos and related search suggestions! Visit Bing.com to sign-up! You can sign up for the service by linking a Facebook or Microsoft account. Earn credits by browsing the Web with Bing, referring friends and completing offers. Currently, you get one credit per every two Bing searches you perform, with a daily limit of 15 credits for using a PC and 10 credits if you use the mobile search. Choose a reward and set your goals. Each reward requires a set number of points before you can make your redemption. Once you have a goal track and manage your credits. Your credit balance can always be seen at the top right of the screen when browsing on Bing. Click Redeem from the dashboard to claim prizes. There are loads of options available with more and more being added all the time. Current rewards range from Starbucks and Fandango gift cards to Hulu Plus subscriptions and Xbox 360 sweepstakes entries. You can even donate your credits to a few of your favorite charities. Did you know: Microsoft recently celebrated Bing's fifth birthday? Microsoft launched Bing on June 3rd 2009 and has been working to polish the site and services ever since! I'm required to disclose a sponsored partnership between our site and Bing. I have been compensated in exchange for this post in the form of payment, product or experiences. What is a browser these days without all those handy extensions and add-ons? Pretty boring if you ask me! Browser extensions have become a major part of the browsing experience and off a quick easy was to enhance your browser capabilities, functionality, looks and even feel. However, some extensions ask for broad permissions that allow access to sensitive data such as browser cookies or history. Some may even go well beyond that! For those that have always wondered what information their Google Chrome add-ons and extensions access, we now have an easy tool that will give us just that! Last year, Google introduced the Chrome Apps & Extensions Developer Tool, which provides an improved developer experience for debugging apps and extensions. 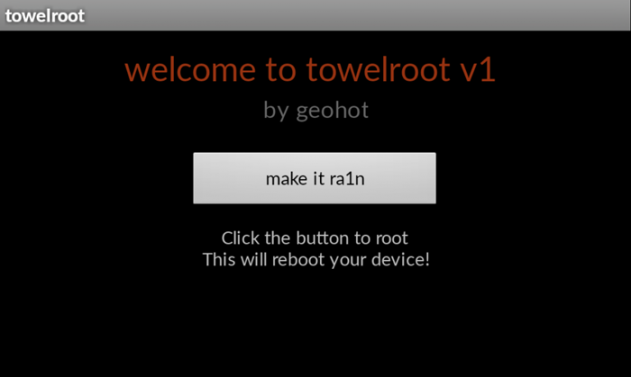 The newest version of the tool, which became available today, will allow any geek or power user that wants full details on any of their installed Chrome apps or extensions to see the precise actions that they performing. Once you’ve installed the Chrome Apps & Extensions Developer Tool, it will start locally auditing your extensions and apps as you use them. For each app or extension, you can see historical activity over the past few days as well as real-time activity by clicking the “Behavior” link. The tool highlights activities that involve your information, such as reading website cookies or modifying web sites, in a privacy section. You can also search for URLs to see if an extension has modified any matching pages. For developers, if you’re debugging an app or extension, you can use the “Realtime” tab to watch the stream of API calls as an extension or app runs. This can help you track down glitches or identify unnecessary API calls. With the 2014 World Cup set to kickoff in just a few short days, Google has added an update to Google Maps and street view allowing football (aka soccer) fanatics the chance to explore the sights and culture of this year’s football tournament from the comforts of home. 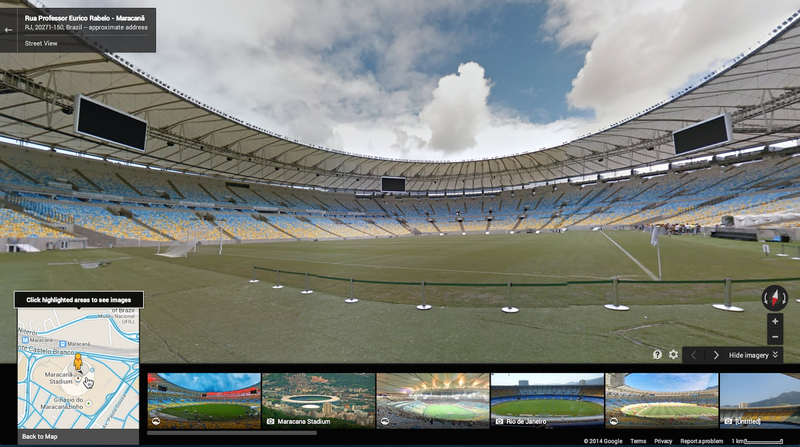 Starting today you can explore all 12 stadiums and the iconic painted streets, one of Brazil’s tournament traditions, in Street View—a digital legacy of the 2014 games for years to come. In addition to the stadiums and painted streets, images from hundreds of sites across Brazil, including Iguaçu National Park and St. Michael of the Missions, are also now available on Google Maps. If what you see in Brazil whets your appetite, you can also explore new Latin American imagery in Peru, Chile, Colombia and Mexico. For those of you lucky enough to have tickets to the amazing festivities Google reminds you not to forget to pack Google Maps for mobile. Using voice commands to control your phone has been around for several years now. Still we see and hear from the average Android smartphone user that they have no idea how to use them or what they can do. Google has worked hard to integrate more and more commands into the Google Now service and it has become a central part of the Android operating system. With tons of recent improvements the Google Now service has quickly made it easier than ever to control your phone just by speaking to it! Thank to the team over at Phandroid we now have a great comprehensive list filled with all of the voice commands that you need to know to get the most out of voice commands on your smartphone. The list features all the basic functions such as snapping a picture, going to a website, checking voicemail or opening email, along with more complicated tasks such as giving you translations for English phrases into different languages and converting English measurements to the metric system. Here are just a few examples from the full Phandroid list we use on a day to day basis. There are plenty more and don’t forget, many if not all of these commands should work just as well with Google Glass and Google’s web voice search, as well. For more details and a quick how to, be sure to check out Phandroid’s full video below.